This year The Ivory Closet with Bluff City Lights sponsored Memphis Fashion Week! We had such a blast showcasing our IC fashions and Kacie Cooper Design floral crowns while getting a girls night out! 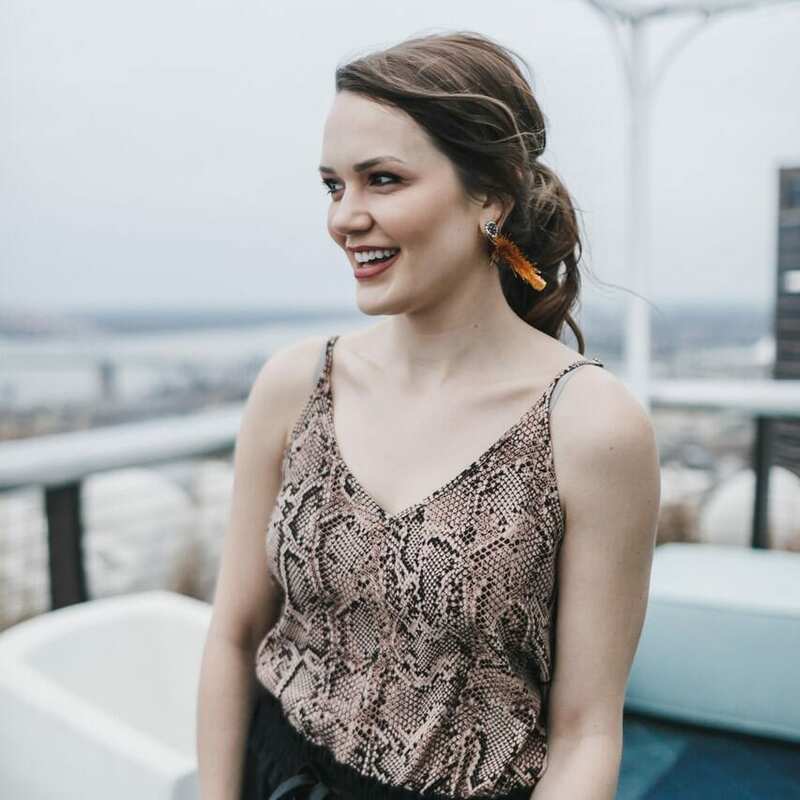 Checkout each Bluff City Lights blogger’s individual The Ivory Closet styles in our blogs and don;t forget to sign up to win a $50 The Ivory Closet gift card!!! All of us are wearing a cocktail collection by Ark n Co from The Ivory Closet with flower crowns from Kacie Cooper Floral Design! This jumpsuit was NOT a maternity outfit but the loose airy fit and tie waist made it PERFECT! At first I tried the medium because I knew I would need to size up for my little bump but it was a bit constraining around my stomach so I nervously tried the large hoping it would be the perfect fit and IT WAS! I was super comfortable all night and while my “Chest” did not fill the top, my bump was super stylish. Want a beautiful Allie Jumpsuit from Ark n Co? During fashion week we all wore flower crowns when wearing The Ivory Closet fashions to signify that we were IC models! Kacie Cooper made our beautiful flower crowns! These authentic and fresh crowns are PERFECT for festival season. With Memphis in May right around the corner, Kacie is taking preorders for flower crowns and combs. Want the chance to win a The Ivory Closet gift card and Kacie Cooper customer floral crown? Just follow all of our blogs by entering your email below to be entered to win! GOOD LUCK!